Is your Vehicle at Risk for an Engine Oil Sludge Breakdown? There is one thing just about every vehicle has in common and that is motor engine oil. Motor oil is responsible for protecting and keeping your vehicle engine parts lubricated so they run smoothly with better performance. When your motor oil is first changed it looks nice and clean when checked on the dipstick but after driving around over time, the oil starts to darken. This darker color is from particles the oil picks up from doing its job (protecting and lubricating metal surfaces in the engine). Today, most motor oils contain a detergent additive which keeps these tiny particles suspended so that the particles do not build up and cause engine sludge. Keep in mind that the motor oil in your vehicle can only suspend so many particles before it will stop doing its job. This is why it is important to have your vehicle’s motor oil changed on a regular basis. One thing that can happen to your engine from not changing your oil is engine sludge. Sludge starts to form in your engine as the oil oxidizes and breaks down due to high heat. 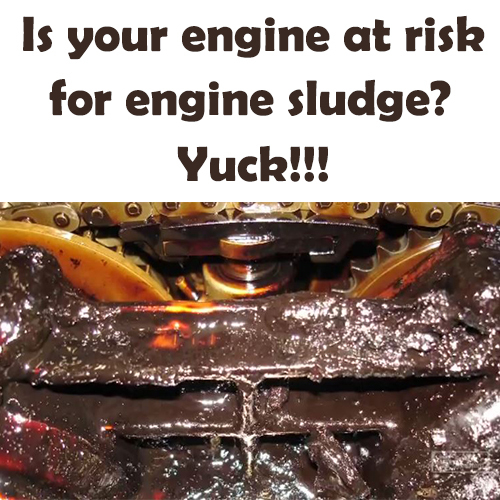 Engine sludge is a thick gooey tar like substance that can block passages inside of your engine. Just like clean oil helps keep things in your engine running smoothly, thick dirty oil can cause overheating, poor mileage and reduced performance. Skipping or waiting long intervals between oil changes can cause engine parts to wear out prematurely and even cause your engine to break down. Regular oil changes are an important part of overall vehicle maintenance. AAMCO of Bonita Springs will change your vehicle’s oil and perform any other maintenance or repair service your car or truck needs. They are a NAPA Car and Truck Service Center and offer a Warranty that Covers Parts and Labor on Qualifying Repairs and Services for 24 Months/24,000 Miles. Schedule an appointment today and let AAMCO of Bonita Springs check your engine! Next Next post: Want to Learn More About Your Vehicle’s Oxygen Sensor?